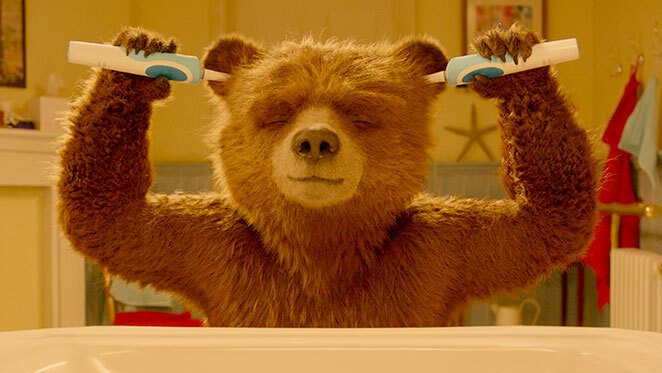 Ben Whishaw’s voice is boyishly engaging as our beloved bear. The innocence resounds, which adds such to depth to the wisdom found within. Enter the new villain, Phoenix Buchanan (Hugh Grant), Grant is a tad better villain than Kidman was in the first movie. However, his approach was exceptionally awkward and creepy, perhaps intentionally? A nice surprise was Knuckles McGinty (Brendan Gleeson). I first saw Gleeson in Braveheart as the massive big force of nature. He shocked me when I saw him in 28 Days Later as a loving father. And after the adorably funny Gleeson in The Grand Seduction, it was evident that this actor had range. Keep bringing it! The best cameo though was Joanna Lumley! I loved her Absolutely Fabulous. Overall, I immensely adored Paddington 2. The film is a smart, engaging action packed story as well as a cinematic work of art. Paul King, the director, brilliantly used mixed medium animation from Paddington’s cuddly and rippling visage (wait till you see his battle with electronic clippers) to pop-up books with so much dimension that you feel you are there as they push the narrative. Creative cinematography consistently ran through my mind as I watched. The action and emotion were effectively communicated, i.e. a 360-pan re-introduction to the Browns family, varying speed zooms across vast, beautiful London cityscapes, etc. Only two times the pans were too fast, headache causing. The score was masterfully composed. The dialogue was witty, “Actors are some of the most devious…” I must remember, “when people forget their manners, give them the hard stare.” To hear an actor say that was hilarious. Cool homage to Mission Impossible, too. 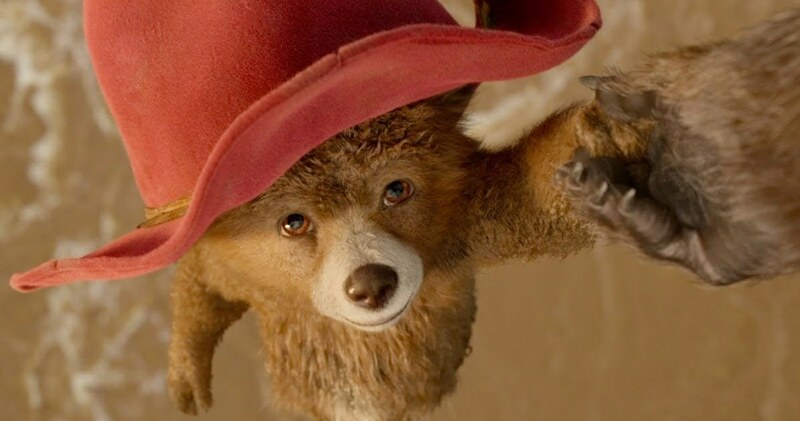 Paddington 2 is such an emotionally intelligent children’s film that is palpable to both old and new lovers of this delightful character. Far more than most children’s films, Paddington 2 doesn’t shy away or rush through the somber moments in Paddington’s life, which is key to the emotional development of, truthfully, all ages. 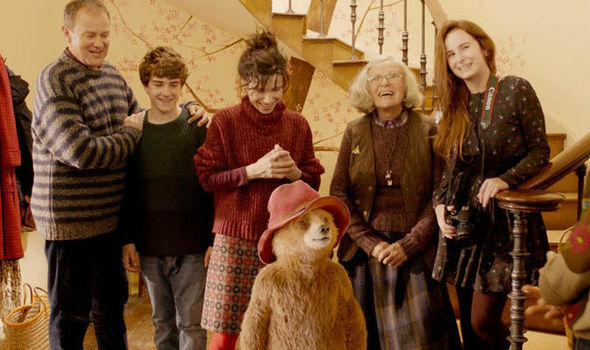 I highly recommend Paddington 2. As I listened to the target audience seated in the theater, it was clear the kiddos did, too. Film Review: ‘Florence Foster Jenkins’!! This entry was posted on Saturday, January 13th, 2018 at 5:59 pm	and is filed under Film, News. You can follow any responses to this entry through the RSS 2.0 feed. You can skip to the end and leave a response. Pinging is currently not allowed. « Interview with Casper Van Dien!